NOTICE: BY SIGNING THIS DOCUMENT YOU GIVE UP IMPORTANT LEGAL RIGHTS. READ THIS CAREFULLY BEFORE YOU SIGN. I do hereby fully and forever release, discharge and hold harmless, Juxtaposition Studios, its owners, agents and employees from any and all claims for property damage or personal injury that may arise from my participation in dance classes at Juxtaposition Studios or my use of the equipment and facilities provided by Juxtaposition Studios, including, but not limited to, any and all claims arising from the negligence or carelessness of Juxtaposition Studios, its owners, agents and employees. By signing this document I fully understand that dancing is physically demanding (even to persons in the very best of physical condition) and that my participation in this activity may lead to physical injury or even death. I hereby certify that I am in good physical condition and that I am unaware of any health related problems that may affect my ability to engage in the dancing and other activities provided by Juxtaposition Studios. By signing this document I fully understand that there are risks of physical injury associated with, arising out of and inherent in the activity of dance. I assume all risks of participation in this endeavor. I am fully aware that conditions may exist, foreseeable and unforeseeable, that might pose a risk to me of physical injury or even death. 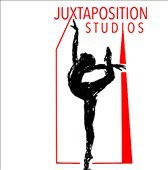 I certify that all information provided to Juxtaposition Studios, including without limitation, my age and dancing experience, is accurate and given freely for the purpose of participating in this activity. By signing this document, I certify that my participation in this event and my signature on this document is completely voluntarily and that I am acting of my own free will. I have not used nor am I under the influence of alcohol or any other drug. I fully understand that I do not have to participate in this activity, that I may cease to participate at any time and that I am free to participate in other activities of this type elsewhere. I hereby agree that any legal disputes regarding the interpretation of this document will be determined by the substantive laws of the State of North Carolina. I also understand that I am free to seek the advice of independent legal counsel, at my own expense, prior to signing this document; and that any advice, suggestions or statements made by other participants or by anyone else, including the owners, agents or employees of Juxtaposition Studios may be incorrect and unsupported by the law. I give permission for any and all medical attention to be administered to me or my child in the event of accident, injury, sickness, etc., under the direction of the physician listed below or at any necessary emergency facility, until such time as I may be contacted. I also assume responsibility for the payment of any such treatment. I give full rights to Juxtaposition Studios and its owners, agents and employees to use photos and video images of me or my child to use for promotional purposes of Juxtaposition Studios. Photos and video may be used in brochures, websites, advertisements, and other promotional material created by Juxtaposition Studios. Photos may appear with or without names in press releases and other print advertising. There is no fee to participate in Showcase. Students will be required to provide their own black leotard/undergarments, jazz pants/shorts if needed, pink/tan tights, and proper dance shoes. All tickets be available to purchase for the shows You will purchase tickets through the Theatre venue and .a A DVD of the Showcase will be available for purchase..
To Participate in Showcase all tuition MUST be paid up-to-date. If Tuition is outstanding,not, then the student will not be allowed to perform. Tuition is Posted on the 15th of the month. [WHY IS TUITION POSTED SOMETHING THEY NEED TO KNOW IF EVERYONE WILL BE ON AUTOPAY NEXT YEAR?] Tuition is due on the 19th of the month and you're your card on file will be charged automatically. If your card is denied, a late fee of $5 will be added to your account, and $5 every 5 days tuition is late thereafter. Everyone will be required to be on AutoPay. Thank you for your cooperation! NOTE- When your child registers for classes, you are agreeing to commit to the entire 2019-2020 Season. If you drop a class/classes you will need to submit a 30-day written notice to the Director/Owner K. Partridge. You will receive a confirmation of the drop as well as a final statement and you will owe a $75 drop fee that will be deducted from your card on file. Registration Fee: When you register, you will be charged a non-refundable $35 per Student ($17.50/sibling). This fee covers our online systems, administrative fees, music license, insurance, maintenance items, etc. and guarantees your spot in the classes of your choice. Siblings: A sibling is one of two or more individuals having one or both parents in common. Half siblings are counted as part of the sibling umbrella. Cousins, nephews, nieces, aunts, uncles etc. are NOT counted as siblings. If your child misses a class, it can be made up. However,Missed classes may be made up. It is the student's responsibility to keep track of and make up missed classes accordingly. Students are encouraged to make up classes in the level proceeding their own, i.e. Ballet III students would make up missed classes in Ballet II. Credit cannot be given for missed classes. Snow closings and holidays do not always correspond with the school system. For snow closings, please check the studio's website, and social media sites. A holiday schedule is located on the back of this handbook. Snow days are not pro-rated/credited and we will do our best to make up the class(es) missed. The participant agrees to uphold the modesty dress code at Juxtaposition Studios. If a student is not dress appropriately they may be given clothes to wear, may be asked to observe, and if offensive the Parent/Guardian will be notified.